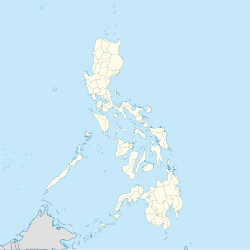 South Upi, officially the Municipality of South Upi, is a 4th class municipality in the province of Maguindanao, Philippines. According to the 2015 census, it has a population of 40,178 people. It also known as Timanan. South Upi is politically subdivided into 11 barangays. ^ "Province: Maguindanao". PSGC Interactive. Quezon City, Philippines: Philippine Statistics Authority. Retrieved 12 November 2016. ^ a b c Census of Population (2015). "ARMM – Autonomous Region in Muslim Mindanao". Total Population by Province, City, Municipality and Barangay. PSA. Retrieved 20 June 2016. ^ Census of Population and Housing (2010). "ARMM – Autonomous Region in Muslim Mindanao". Total Population by Province, City, Municipality and Barangay. NSO. Retrieved 29 June 2016. ^ Censuses of Population (1903–2007). "ARMM – Autonomous Region in Muslim Mindanao". Table 1. Population Enumerated in Various Censuses by Province/Highly Urbanized City: 1903 to 2007. NSO. ^ "Province of Maguindanao". Municipality Population Data. Local Water Utilities Administration Research Division. Retrieved 17 December 2016. ^ "South Upi, Maguindanao : Average Temperatures and Rainfall". Meteoblue. Retrieved 19 January 2019. This page was last edited on 24 February 2019, at 10:50 (UTC).